I am an ethical person and I expect ethical behavior of everyone in my world, regardless their association with me. Of course, I am also a realist with strong cynical bent, so I know my expectations will not always be met. 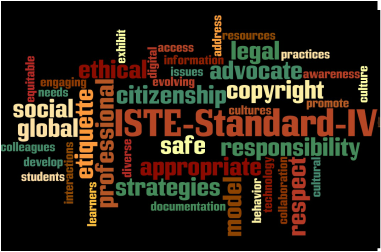 I absolutely "advocate, model, and teach safe, legal, and ethical use of digital information and technology." in my classes. I teach high school aged student--teenagers--so respect for digital property is a pretty intense unit. Sadly, I remember too many instances (and one is too many, in my mind) when a student has declared in all seriousness that copying (music, movies, someone else's homework) is okay, as long as you don't get caught. Despite the number of times I have heard similar remarks made and have seen the agreement in the faces of so many others, I am always horrified and saddened that so many young people could have such a callous outlook. So I teach and I preach and I provide opportunities; for example, a common activity I assign is to have students find a legal case study regarding intellectual property theft. The students have to decide if they believe the decision rendered in the case was fair or not and have to justify their position. 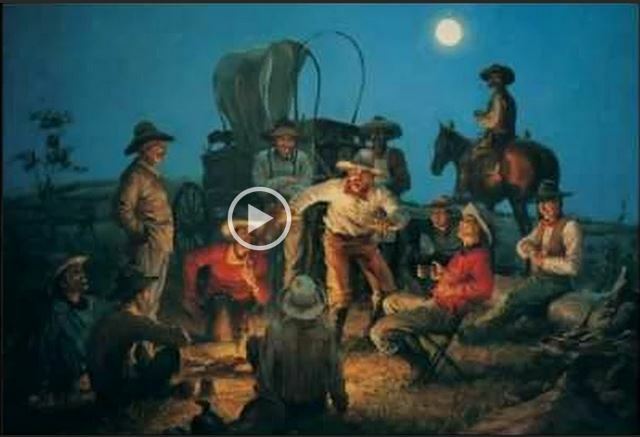 Once they have--sometimes vehemently--defended their positions, I have them take the same case and argue for the opposite position in an attempt to get them to think from another viewpoint. In addition to intellectual property, we also have lessons on Internet etiquette and social networking safety and responsibility. We have created presentations, flyers, brochures, podcasts, and videos related to these topics. Diversity is present whenever more than one person is in the room, as no two people are exactly the same. In the classes I teach, I use a variety of delivery methods and try to hit all of them (written, audio, visual, and kinesthetic) in each lesson; I believe the more senses I can bring in to play, the more the information will stick. With my special needs students, I allow quite a bit of flexibility in how the lessons are received and how the demonstrations of competency are delivered. Since I teach in a computer lab, I have many tools at my disposal for meeting student needs simply by virtue of having a computer with headphones available. Other accommodations I use--though not always mandated--have included allowing a student to record audio from home because she could not bear the thought of recording around the other students, allowing students to take pictures and videos in the book room attached to my classroom for the same reason, allowing additional time and resubmissions to improve success rates. 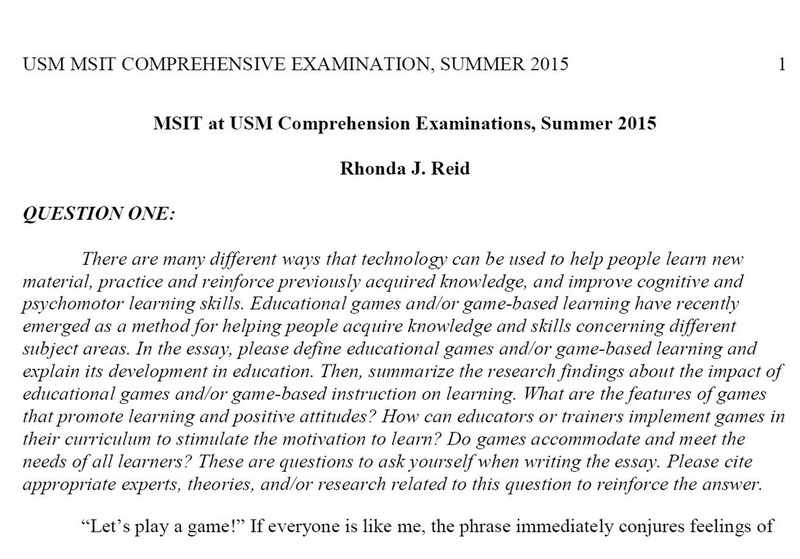 MSIT Comps (Documentation): Composing research papers was probably the most difficult of all tasks I was assigned as a graduate student. Prior to beginning the MSIT program, my last research paper would have been written more than 20 years earlier, and I would sincerely be unable to tell you the subject matter. So many erudite and articulate people have stated so eloquently the facts and findings of their research studies that I am rendered all but paralyzed; how in the world do I say what others have already said and yet make my statements seem fresh, new, and different. Perhaps writing classes should be my next formal educational endeavor. One thing I can do and believe in is the citing of intellectual property not uniquely my own. I passed my comps papers, so I am using that as an example. Click on the image below or this bullet's header to have my paper open in a new window. 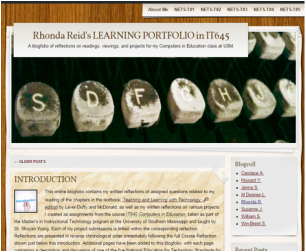 IT645 Learning Portfolio (Etiquette): Each of the classes I have taken in the MSIT program have required some type of discussion and response; some of these were through the use of blogging sites such as Weebly and Wix, while other discussions and comments were posted to the Discussion Board in BlackBoard. When leaving comments on a discussion someone else has posted, it is very important to remember to use good digital etiquette. While opposing views are welcomed in most such situations, the comments should always be polite without engaging in any sort of negativity or abusive language. Online etiquette is a vital topic and one I approach in all of my classes. Cyber-bullying and other inappropriate communications are never appropriate. Click on the image below or this bullet's heading to see my learning portfolio, which will open in a new window. 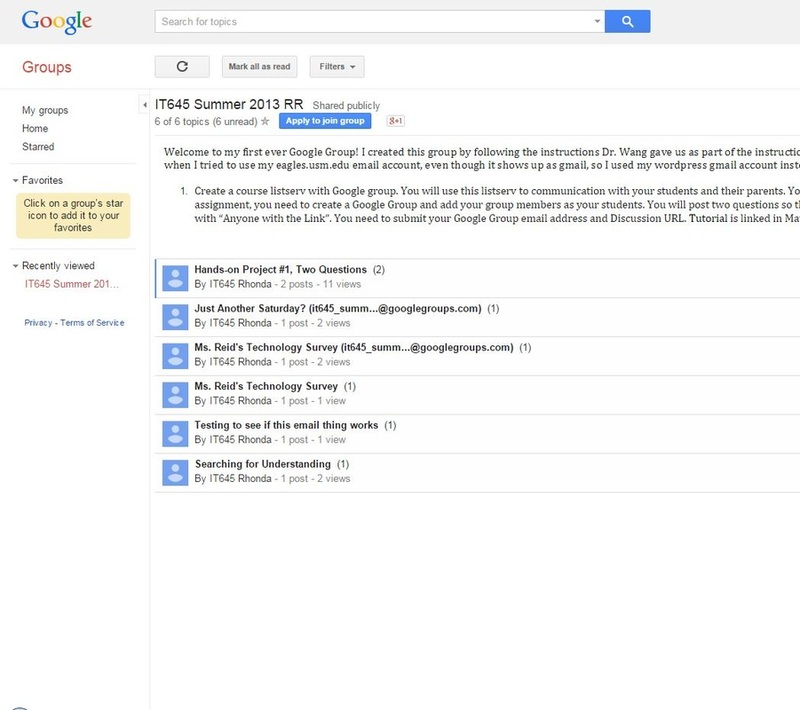 IT645 Google Groups (Communicate): Web-based tools such as Google Groups and Google Docs are excellent for both communication and collaboration, not only with classmates, professors, and colleagues, but also with others around the globe. Use of these tools must be approached with the same dedication to respect of others cultural diversity as any other form of communication. Click on the image below or this bullet's header to have a Google Group I created for IT645 open in a new window. REF601 Google Docs (Collaborate): Google Docs makes collaborating easy since each individual with editing permissions can edit the document; in fact, multiple individuals can edit the same document at the same time, with everyone able to see what everyone else is doing. 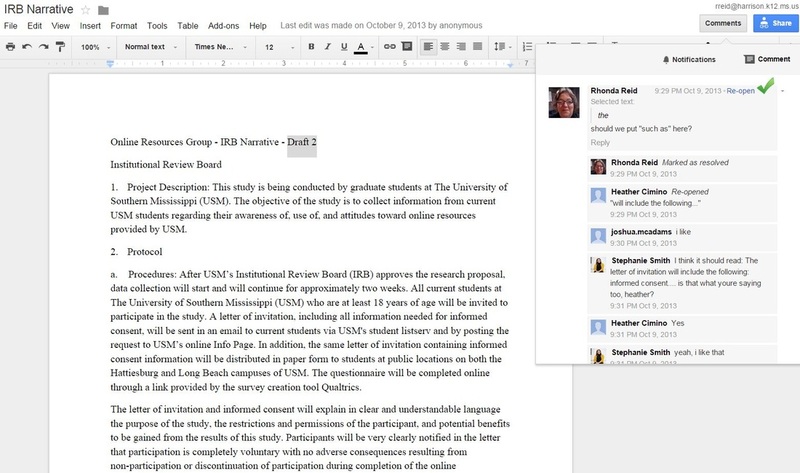 Google Docs includes a Comments feature that acts much like an online chat window when multiple editors are working in the document at once. By using the feature, the collaborators can communicate with each other while collaborating, even though they may be physically anywhere on the globe. Click on the image below or this bullet's heading to see a collaborative effort created for REF601.